Art Deco Marble sink made from polished absolute black marble. This is a fine modern black marble vanity sink. It would go great installed in a wet bar. We carry a large selection of modern and contemporary products. 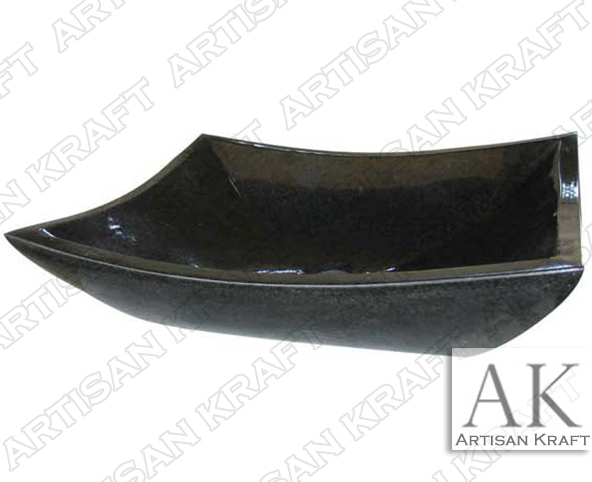 Call us or email us today for pricing and information on this black marble sink. Artisan Kraft delivers all of its products to NY and MN and all US states. Make sure to view all of our other great products including fireplaces, bathtubs and range hoods.